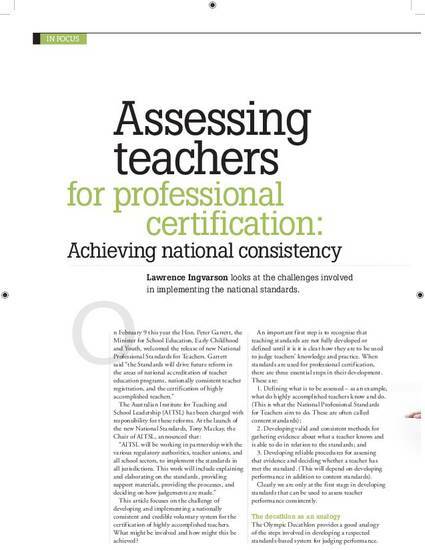 The Australian Institute for Teaching and School Leadership (AITSL) has been charged with responsibility for developing and implementing a nationally consistent and credible voluntary system for the certification of highly accomplished teachers in Australia. This article focuses on the challenge of achieving such as system. What might be involved and how might such a system be achieved?